Nike Basketball is officially set to release the newest Nike KD 10 with the debut of this Nike KD 10 Fingerprint colorway. Dressed in an Oreo-like color scheme, this KD 10 goes with a clean Black and White aesthetic. 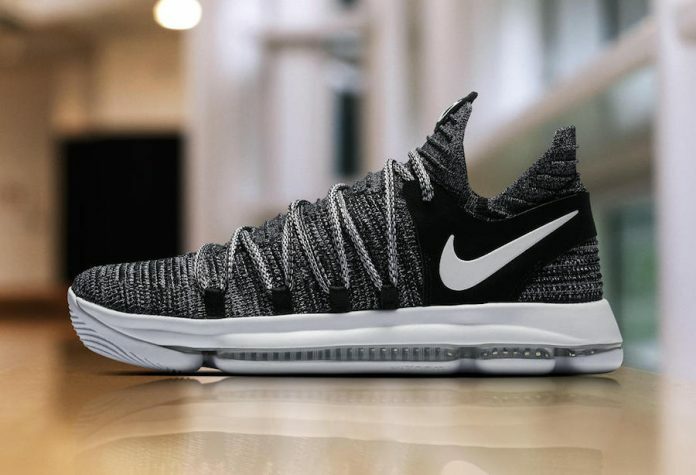 This release pays homage to KD’s unwavering desire to leave his mark on the game, from the blacktop of Seat Pleasant to the hardwood of the Bay. Look for the Nike KD 10 “Fingerprint” to release on July 1st at select Nike Basketball retailers and Nike.com. The retail price tag is set at $150 USD.